Our recent TimberTech redeck in Macon, GA, leaves "room to grow"
Our recent TimberTech deck addition is located in Macon, GA, within the Brookstone subdivision. 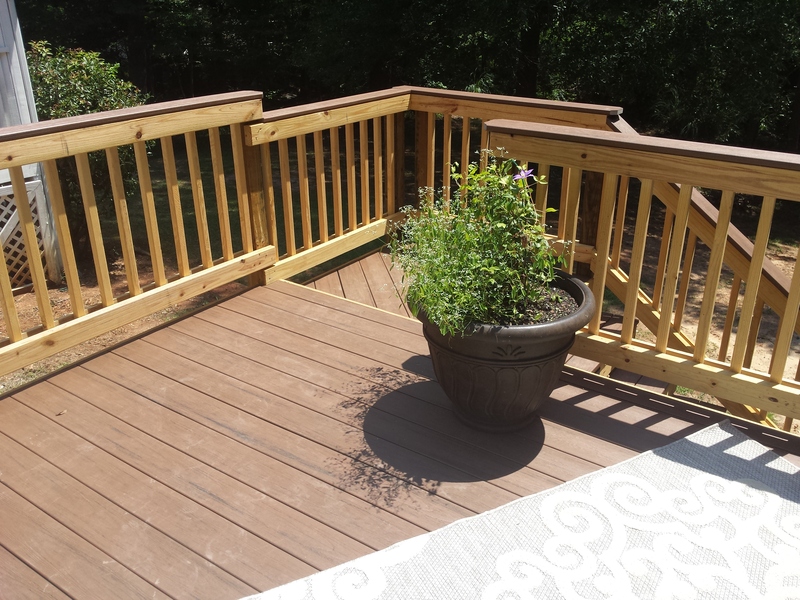 When the homeowner reached out to Archadeck of Central Georgia, they were looking to breathe new life into their existing backyard deck. The flooring and railing on their existing deck was in bad shape. In addition, the existing stairway configuration seemed awkward, especially in light of the new paver patio they are planning to install below the deck. The main goals the homeowners wished to achieve in their new deck were low-maintenance materials and a new stairway design. Archadeck of Central Georgia set to work giving this deck a true makeover. First, we tore off the existing decking and redecked the entire deck using the existing footprint. We used beautiful low-maintenance TimberTech Tropical decking in Antique Palm. This collection emulates the resort feel and fond memories of all those great vacation destinations you’ve visited! Multicolor streaking and exotic wood grains complement rich, saturated tones, inviting you to relax in your own personal paradise just outside your back door. And, like all our composite decks, the new decking is low-maintenance meaning it never needs to be painted, stained, scraped or power-washed. It will also not warp, cup, split or rot. 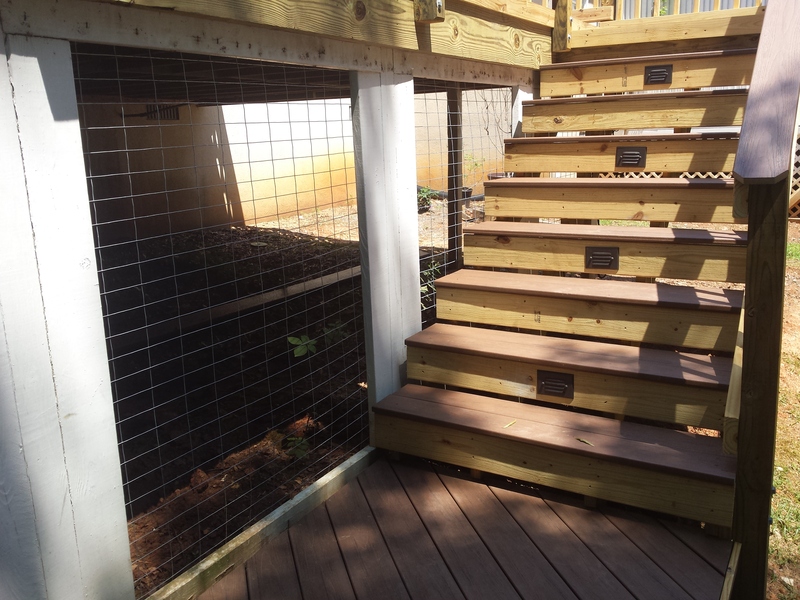 We also replaced the deck railing using a composite cap to unify the new design and added low-voltage deck lighting to the stair treads. Taking the design a step further, Archadeck of Central Georgia also removed all the existing lattice skirting that existed from the deck’s original construction and replaced it with cattle wire. This element will allow the homeowner to grow flowering vines upon the wire, adding visual interest and plenty of room to grow ever-evolving seasonal color!